One of the most important processes in any heat exchanger manufacturing operation is the production of fin. For many of these heat exchangers, the fin to be produced will be manufactured on a Reciprocating Fin Stamping Press also known as a Fin Press. 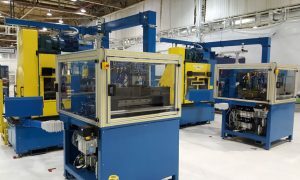 IA has developed a complete line of Fin Presses including one of the most technically advanced high precision machines available on the market today. In addition to our line of Fin Presses, we also manufacture a complete line of ancillary equipment from cutoffs to tampers to inspection systems. These systems are offered as both inline and offline models. 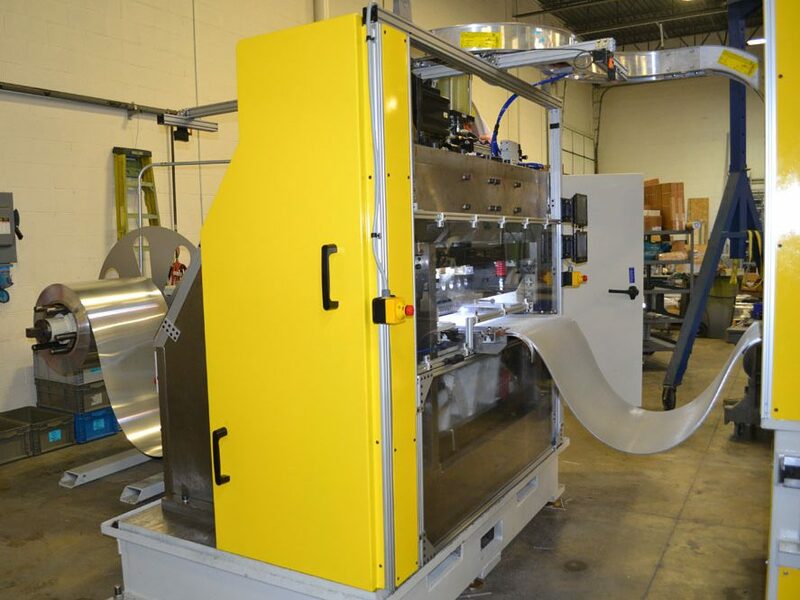 Like all of our products, we will engineer a fin press specifically for the requirements of your application. Every application is different and every application deserves the optimal system. There is no better way to provide our customers with a competitive advantage than to develop a custom system that provides them with this competitive edge. 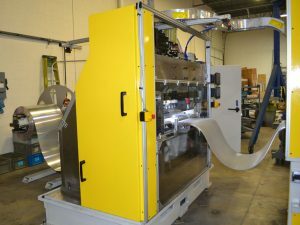 The flagship of our Fin Press line is the SMRP24. 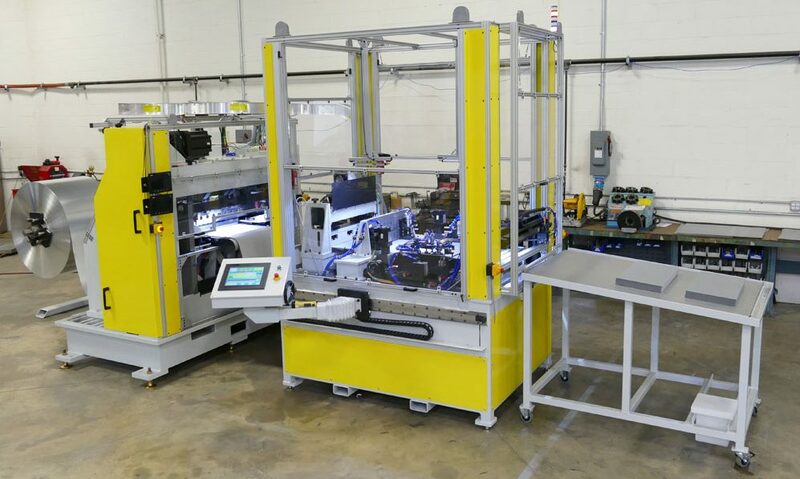 This machine features servo driven control and allows for operating speeds as high as 300 strokes or 150 convolutions per minute while producing the highest forming forces available at these speeds. The press is capable of forming materials as heavy as 0.020″ thickness while having the precision to also form materials as thin as 0.003″. We routinely produce fin from metals ranging from Aluminum to Inconel to Stainless Steel. 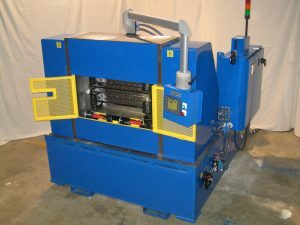 Fin Press Tooling for these machines can be catered to making fin patterns of all types from a traditional straight fin to offset or serrated to herringbone or wavy. In addition, we offer other presses of varying widths and capabilities. 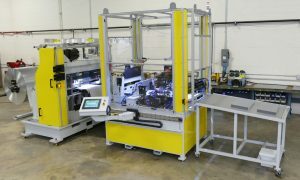 We will gladly work with the specific requirements of your application to engineer a system that will work best for you.